The latest Kodi 17.1 krypton brings with itself a ton of improvements both in functionality as well as UI. All the Kodi lovers and including myself personally love the new update. Unfortunately, it has been reported by a few users on the internet that they have been experiencing a crashing issue with the new update. 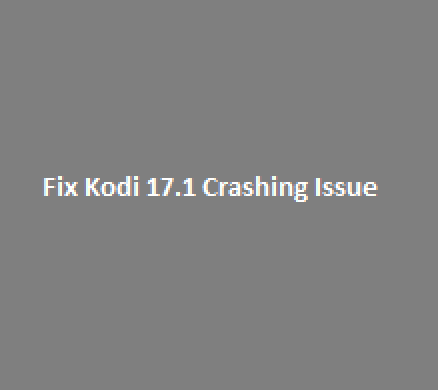 If you are one of these users, don’t worry and keep reading on how to solve this Kodi 17.1 crashing issue. If your android device keeps showing “Unfortunately Kodi has stopped” message, the following guide may help fix it. 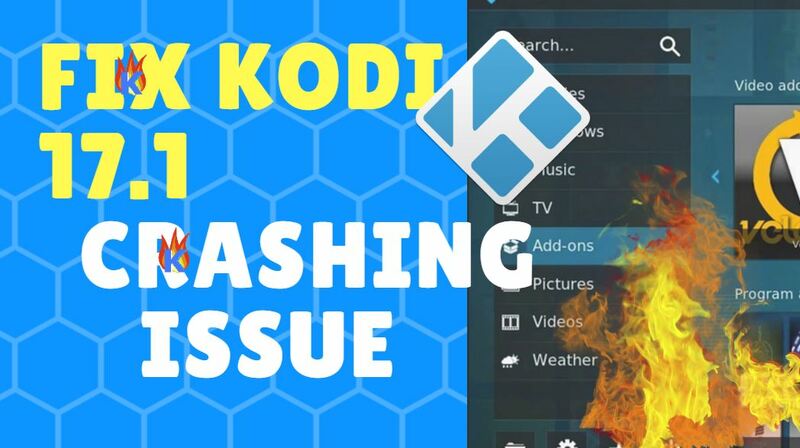 Even if you are using Kodi on other platforms and are experiencing crashing issues while streaming content, the tutorial below can still help fix the issue for you. If the issue still exists, you will have to reinstall the Kodi application on your device. In order to do this, simply uninstall the Kodi app from your device and then follow the links given below to install it again. Since the Kodi 17.1 Krypton update, the developers of Kodi application have set the minimum required android version for Kodi to Android 5.0 Lollipop. Given below is what Kodi says regarding this on their official website. Over the years the Android platform started to mature and catch up to the other platforms regarding capabilities. This also means that we can drop all the custom code we had to add in the beginning to get Kodi running at all as that’s now becoming obsolete.One of those from back in the days was libStageFright which we dropped in a previous release and was replaced by the standard MediaCodec from Android. With v17 we have started to clean up all the old implementations which sadly also means we had to set the minimum Android version to at least 5.0 Lollipop. It’s uncertain at this time if we even have to go higher and set the minimum to Android 6.0 Marshmallow as this contains certain features we need to improve Kodi. For now you are safe if you at least have Android 5.0 Don’t worry you can keep using Kodi v16 on all previous Android versions however you just can upgrade to a newer Kodi version.